Advantages of Soil Gas Sampling with Canisters Sampling soil gas into canisters provides significant advantages over the use of passive adsorbent samplers with regard to both maintaining the integrity of the sample in the eld and ensuring that the best analytical technique is used in the laboratory. Canisters eliminate the need for pumps, batteries, and media selection and the same sampling approach can be utilized for any gas concentration while being universal for all compounds. Further, humidity and temperature concerns inherent with tube sampling do not affect canister accuracy. Entech has a long history of engineering turn-key solutions specific to the environments being sampled, and the Chameleon line of soil gas products continues this philosophy of providing complete, tested solutions. 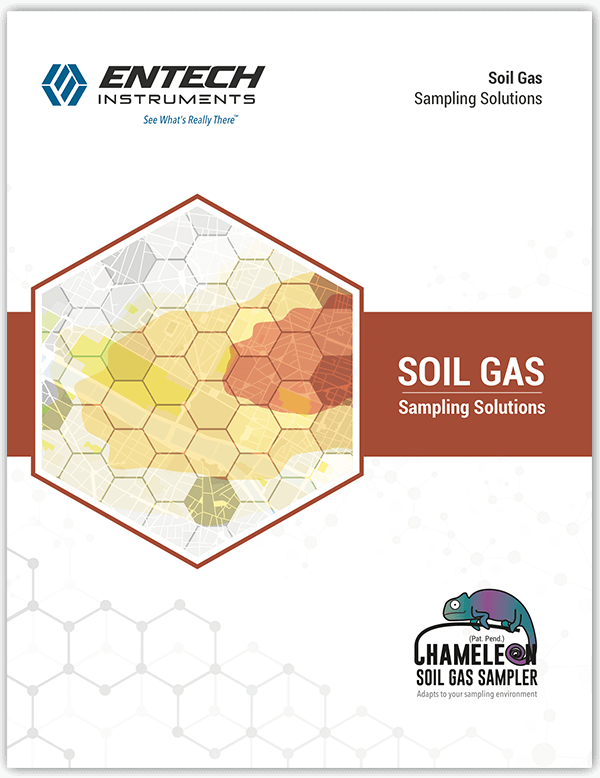 Designed with feedback from numerous sampling professionals, the Chameleon provides an all-in-one solution that will change the way soil gas studies are conducted worldwide.